What is Pipe Insulation Made From? Our pipes are a critical part of the plumbing in our home. Rather than allowing them to be subjected to the elements, pipe insulation can help to protect them no matter what time of year it is. Take a look at how pipe insulation can help to protect your home from mishap, and the best way to properly maintain it no matter how cold it gets. There are quite a few different types of material that can be used for pipe insulation. Each can serve a different purpose, some like mineral wool protecting from extreme heat in industrial situations, others are added only at certain times of year to prevent the pipes from freezing during the winter. This will be the most important for the large majority of people. Make sure to get this taken care of as early as possible to prevent problems from arising. 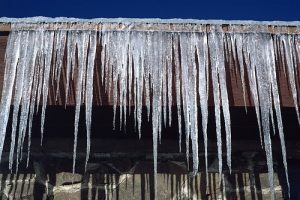 If you haven’t already put insulation on your outside pipes, it isn’t too late. 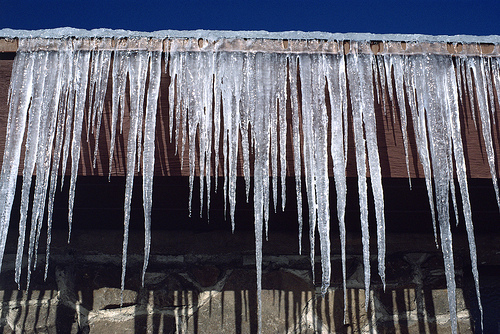 Take the steps now to protect your home from freezing pipes. You will find this far easier than dealing with the problem once it occurs. Pipe wrap – this is the traditional type of insulation that is used for water pipes. It is available in a number of different materials, including foil backed fiberglass, fiberglass and plastic, and rubber insulation tape. All of these options should be available at a home improvement store near you. Talk with someone there to find the material that works best for your situation. To install this, duct tape one end to the pipe and wrap the insulation around, making at least half an inch of overlap. Make sure to cover the entire pipe, leaving nothing exposed to the elements. Tubular sleeve – When you have a larger section of pipe that needs to be covered, consider investing in a tubular sleeve. These are made of foam or rubber insulation, and have a self-sealing option. They will come in large sections that can be cut down to fit your needs. Cut the corners to fit the sleeve perfectly against the elements. Installing extra pipe insulation is important, especially during the winter. If you forgot to do this to your exposed pipes and had a problem, call us at Shamrock Plumbing. We can help get the problem taken care of, and advise you on how to best protect your pipes. If your pipes are still exposed, make sure to install the insulation now before a major problem can occur.